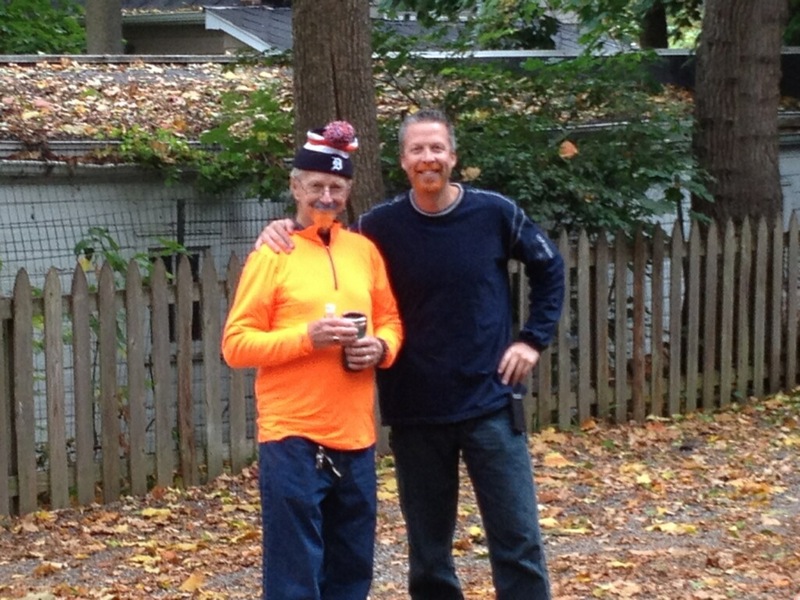 Gene Strenzel, featured here on Flashin Leather’s Generations post, is “living a dream”. 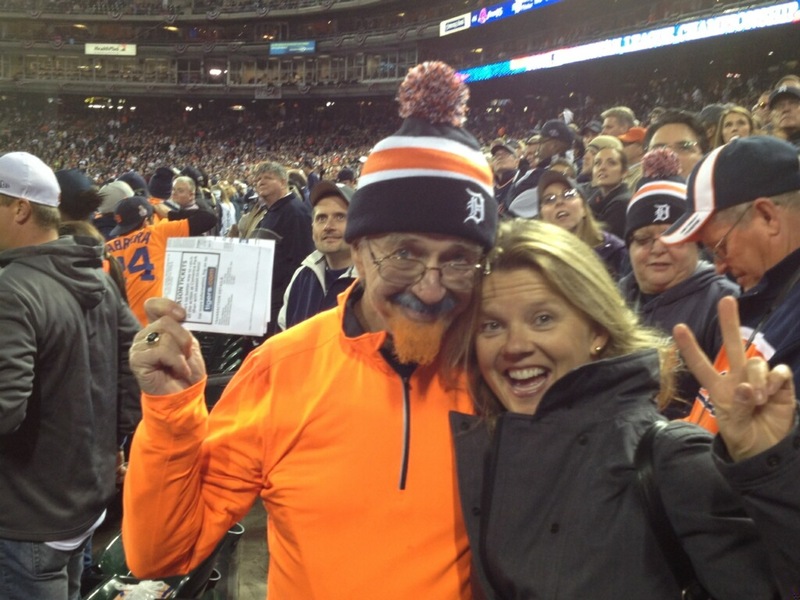 He is attending Game 4 of the America League Championship Series at Comerica Park tonight. 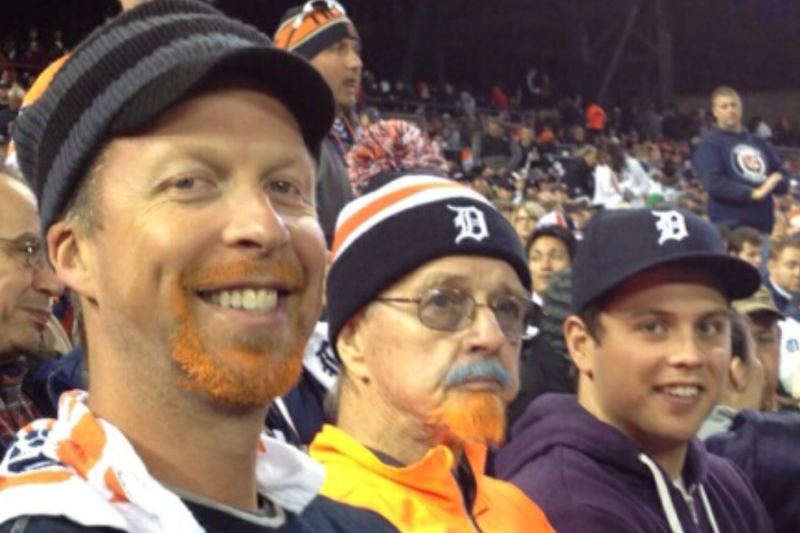 This time Gene has his beard dyed Tigers orange. With Gene are his Daughter, Sara Kazan. 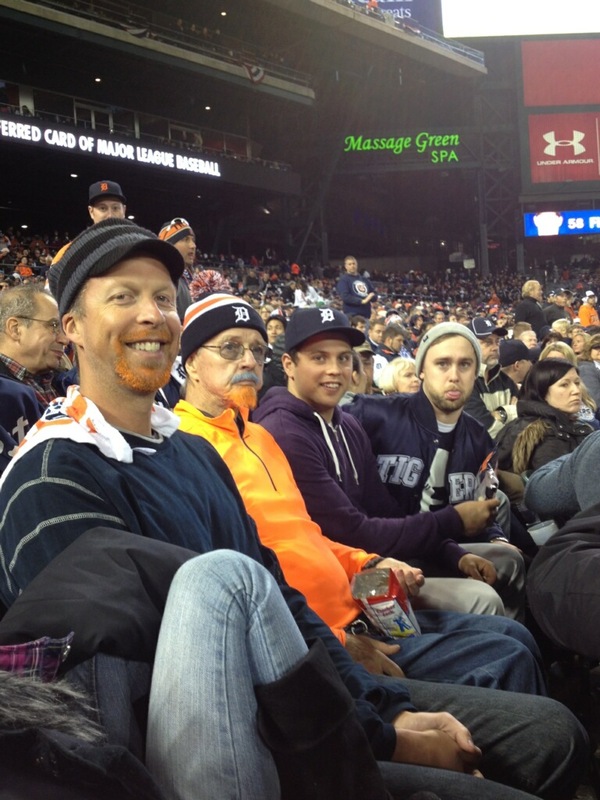 Gytis Udrys who also has his beard dyed Tigers orange, and his grandson Nelson Kazan.